All products are designed to combine traditional aesthetics with unparalleled performance. Thinner than industry-standard sections to deliver more sunlight, better vistas and improved energy efficiency. 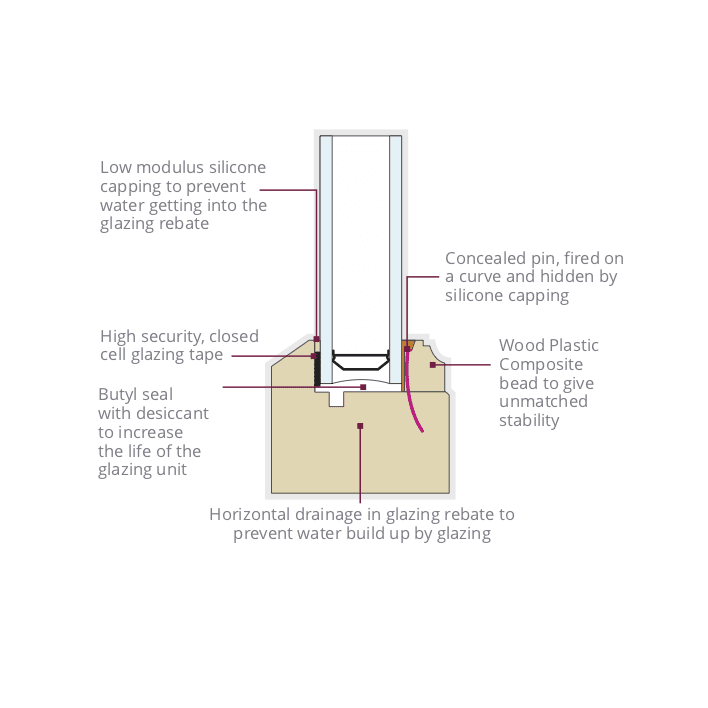 Perfectly flush jointing with no unsightly grooves or breaks. 22mm external glazing bars and 9mm external bevel to replicate the traditional linseed oil putty effect. Internal 22mm glazing bars and 18mm beads in a traditional lambs tongue moulding to give elegance and slenderness of sections. Full paint system delivering exceptional life span and minimal maintenance schedules. 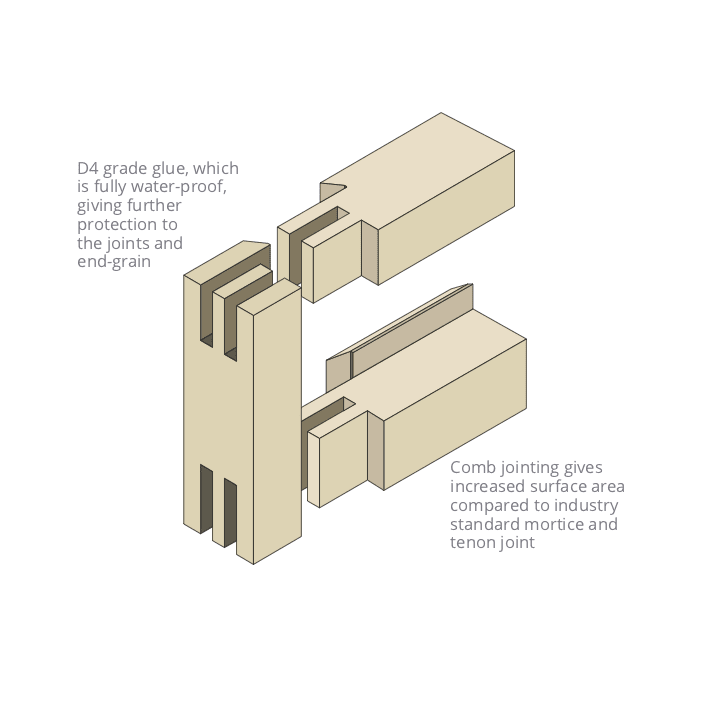 Comb joint construction increases product longevity and stability. 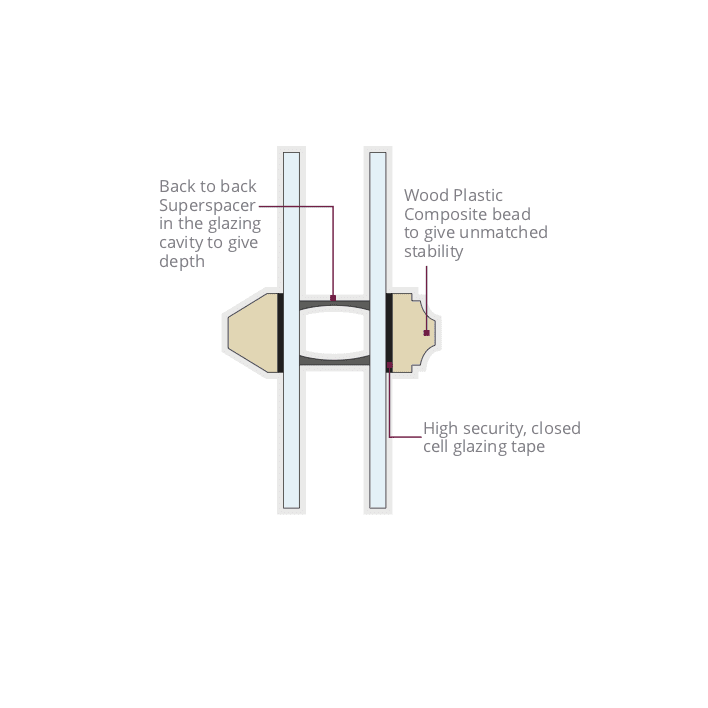 Internally glazed product with concealed pinning to give maximum security and best possible finish. 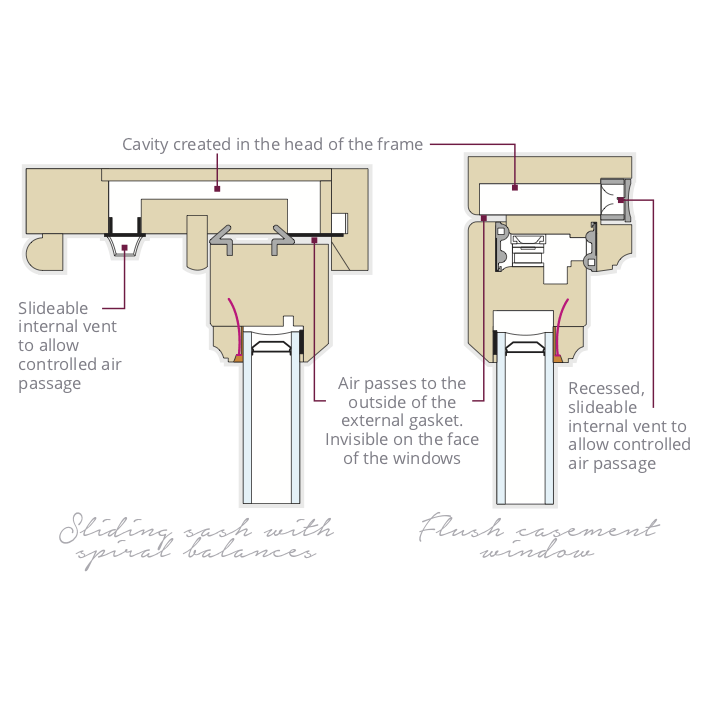 Trickle ventilation designed to detract as little as possible from the aesthetics of the product, running the head of the frame and invisible on the external face.